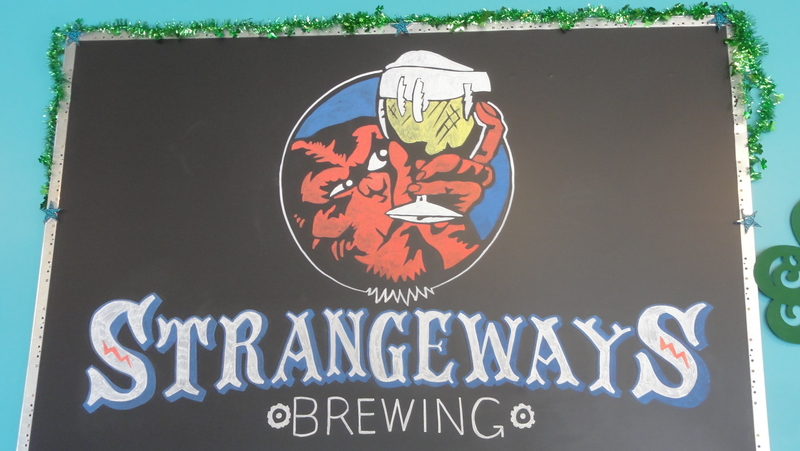 Strangeways opened in an 8,400 sq. 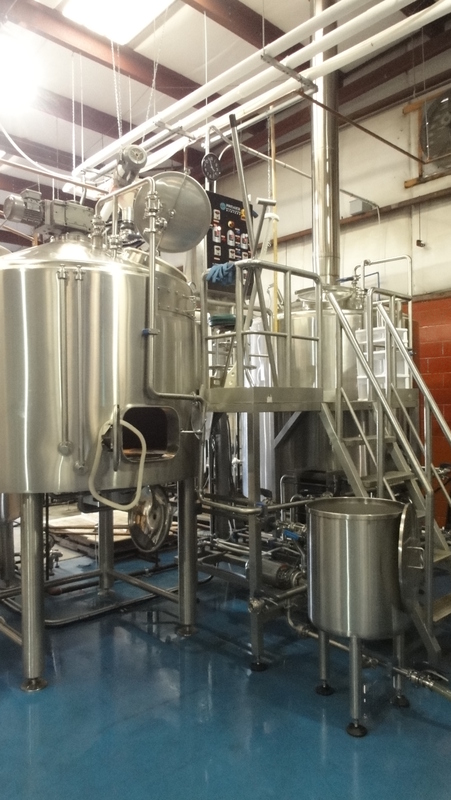 ft. warehouse facility with a 20 bbl brewhouse and is projecting around 1,200 bbl for their first full year in operation with plenty growth on the horizon for year two. No upgrades in equipment are required as they already contain equipment capable of handling upwards of 4,000 bbl per year. Mike and his assistant brewer and cellar man apply a truly distinctive approach to making their beers. 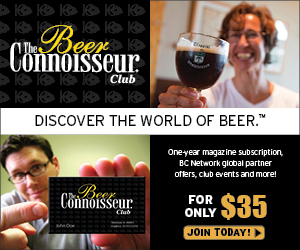 He shared that, at this point in his lengthy career, he is tired of sticking to convention and making the traditional beers that can be seen all over the country. His vision is to really push the boundaries, have fun, and be goofy with it. When you look at the variety of styles that have been brewed in less than one year in operation, you can tell he is staying true to that goal of challenging the audience, of trying to explore all of the different possibilities, even within one particular style. If you will, a brewpub mentality in a production brewery. 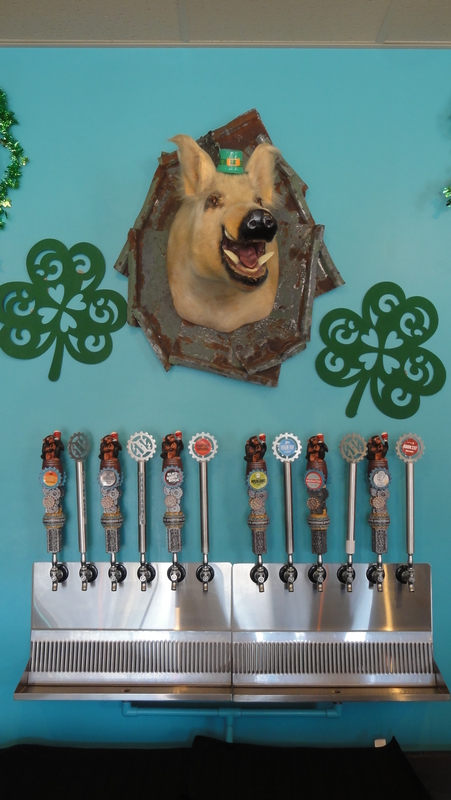 With the “think strange, drink strange” slogan, standout name and tap handles, and website banner declaring “purveyors of eccentrically delicious beverages,” patrons are surely expecting a one-of-a-kind experience. The brewery opened up originally with two beers (though that certainly didn’t last very long). Woodbooger Belgian-Style Brown Ale features a brown ale base, tweaked greatly with a Belgian yeast and additions of coconut sugar and vanilla beans. 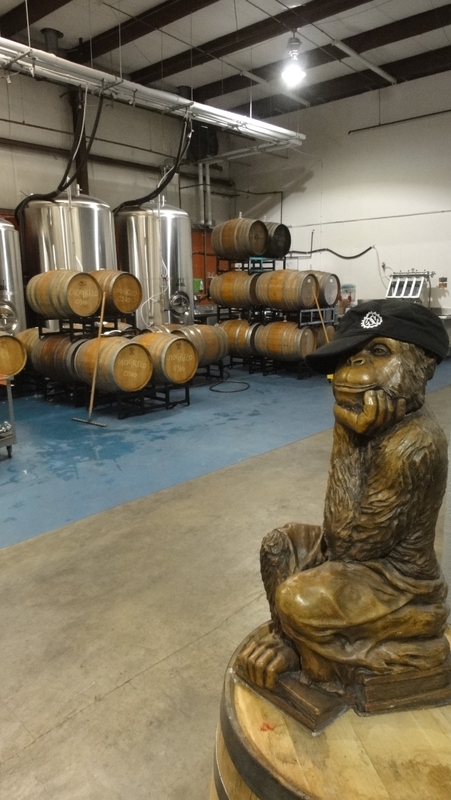 The Albino Monkey White Ale features spicy hops, coriander, lemon/orange peel and white pepper. The other two beers of the now 4 year round offerings, or Nucleus Series, are the Wallonian Dawn Honey Saison Ale and the Phantasmic East Coast IPA. The Migration Series represents the extensive line of Strangeways seasonal brews: Houblonic Belgian IPA, Whap! Sorachi Sour, Freeze Ray Eisbock, Kiss off! Cherry Sour, Gourd of Thunder Imperial Pumpkin, Word! Sour Saison, and Mixolydian Rag Rye Bock. A variety of barrel aged beers are categorized under the Woodsman Series tag: Disintegration oak aged Belgian IPA; Martian Spring Biere de Mars contains 5 distinct hops and is aged on oak wine barrels; Room 237 Biere D’Hiver is highlighted by the use of cinnamon, brown sugar and Belgian Candi syrup and aged on oak; Blitzkrieg Bock is a beast unto its own with an infusion of light roasted Richmond coffees on top of cinnamon and cocoa nibs in oak barrels; Umlaut Boktoberfest is not your standard Marzen, displaying smoked malts, Opal and Smaragd hops while aging on oak barrels that previously held Rebel Yell bourbon & were then used to house Trump Winery Cru white port wine; finally, there are the 3 Wyrd Sisters Tripels – Ophelia, Cordelia, and Desdemona – each aged in the previously described Rebel Yell/Cru barrels with different yeasts – La Chouffe, Celis, and Trappist, respectively. See what I mean when I said breaking boundaries? Well if not, listen up now. 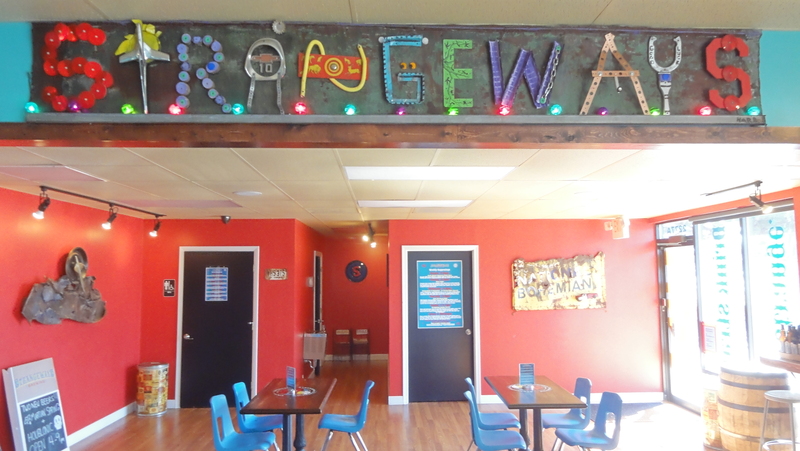 Strangeways furthers their oddball antics, cranking it up to 11, with their Curiosities. 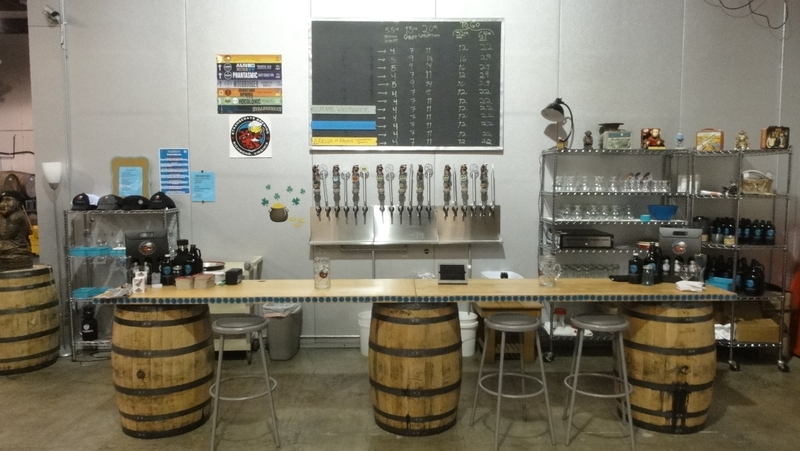 Many of the previously mentioned beers have been available throughout the year with special treatments for their taproom. 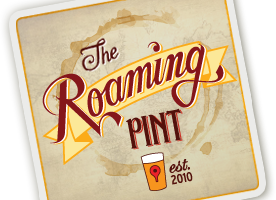 This allows the brewers to have tons of fun, experiment with and explore every corner of brewing possibilities (let’s face it, there are no longer any edges in American brewing) and also makes for a completely unique tasting experience with each visit. A few examples include Woodbooger with a caramel tea, Wallonian Dawn with Jasmine, and Peach infused Phantasmic. As if you weren’t already overwhelmed with options, beers can also be served with different candy pairings. 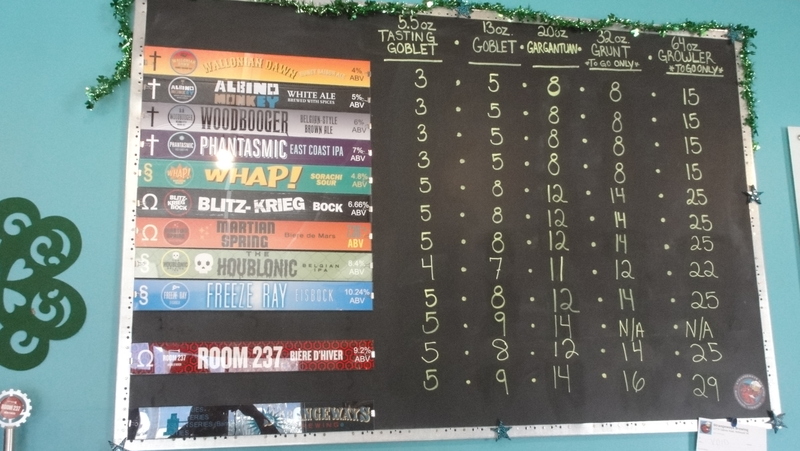 With 25 beers on tap each and every day, you are going to want to be promiscuous and delve into a sample flight which is accompanied with some tasty Hopewell, VA peanuts to cleanse your pallet between each strange flavor experience. 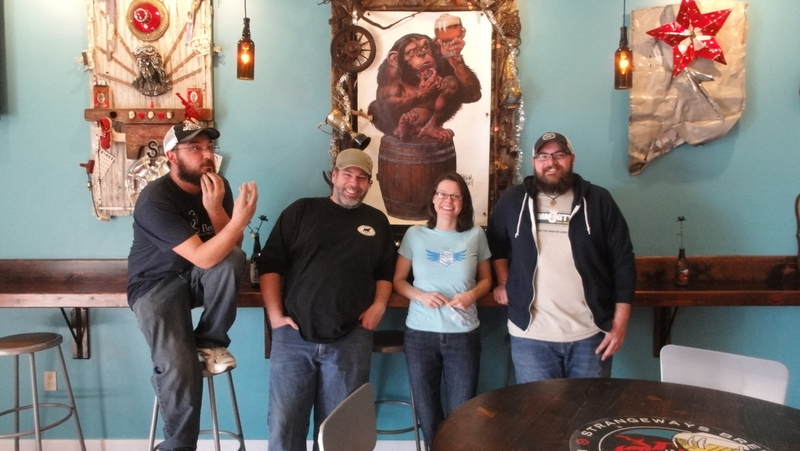 During our visit we were able to sample each of the Nucleus beers as well as the Freeze Ray, Houblonic, Whap!, Room 237, Martian Spring, Freeze Ray, and Chocolate Freeze Ray – each a completely different and enjoyable experience. In keeping with the narrative, Strangeways also gets weird each week in the taproom with a variety of events or ‘happenings’. Monday features games of Cards Against Humanity (if you haven’t played this game and are an adult with a sense of humor, you should do so), Tuesdays are trivia night, Wednesdays and Thursdays feature drink specials for on and off-site consumption, respectively, and then there is the Sunday Revival with local live music. Also keep an eye out for food trucks unless you plan to get all your sustenance from nuts and candy pairings. In addition, a burlesque show is hosted in the brewery the second Friday of every month – as far as they know the only burlesque held inside a production brewery. On March 30th they will host the Strangeways March Hop Madness, their first outdoor event and sort of test run of their upcoming one year anniversary bash, which will display 16 different hopped up beers paired with food trucks, three live bands, and a roped off parking lot for a nice bier garden experience. 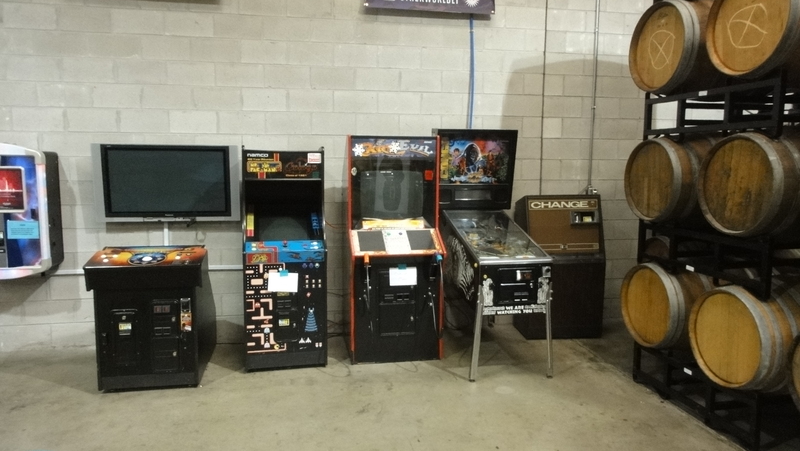 Beers can be enjoyed currently in accounts around the Richmond area or at the brewery’s tasting room which boasts two separate bars and a variety of arcade games. Large form bottles are also available of select beers for purchase along with growler fills and they are working up to 12 oz bottles of the Nucleus Series. 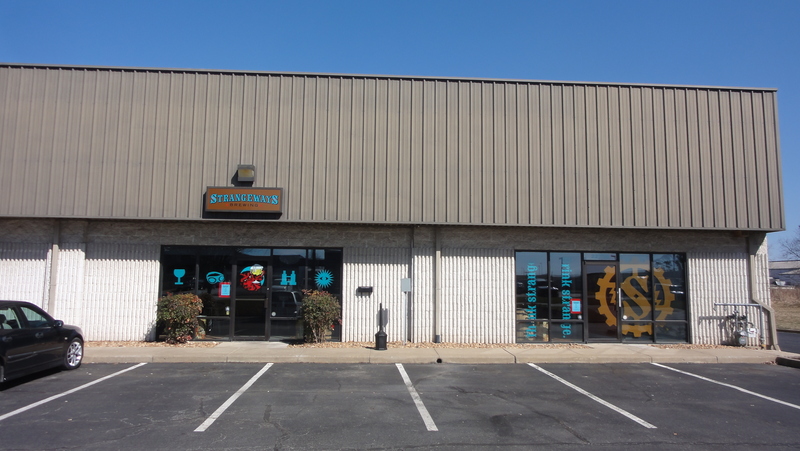 Brewery hours and address can be located here, so be sure to stop through and venture into the strange. 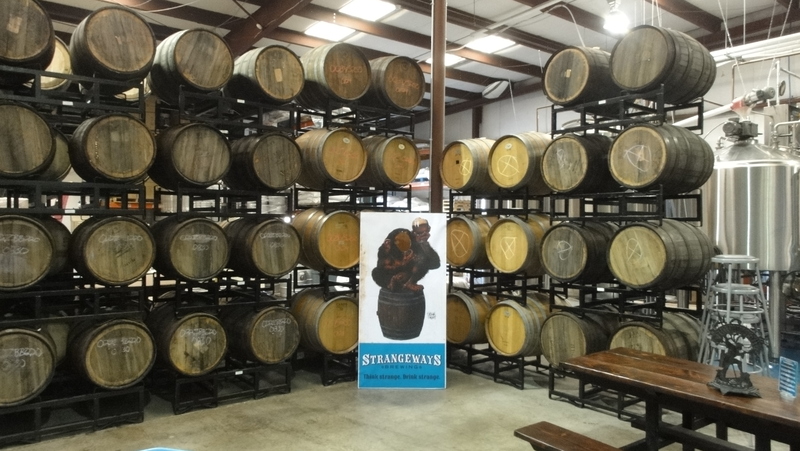 An immense thanks to Mike, Cheyenne, and the rest of the Strangeways staff for sharing their unique brewery’s narrative and for being so kind upon our visit. Thank you for the great article. It was a pleasure to meet you both. Good luck on your quest and safe travels!